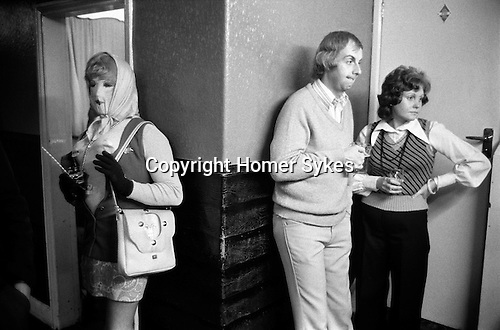 Caking Night, Dungworth, Sheffield, Yorkshire 1974. Royal Hotel Dungworth actually the local pub, but with grand name. Tradition associated with All Souls Day. November 1st usually.